(of the Stolin-Carlin dynasty) that settled in Safed, Palestine, in 1857. His grandfather emigrated from Palestine to Brazil and it was he who brought Perlov up from the age of 12. His father was a performing magician whom Perlov met only few times in his life. Perlov grew up in Sao Paulo and from an early age showed interest and talent in drawing. In the years following the end of World War II Perlov became one of the main leaders of the Zionist Socialist youth movement in Brazil. His artistic vocation, however, led him first to Paris where he stayed for six years, studying at the 'Ecole des Beaux Arts' and later on at the studio of Arpad Szenes. The prevailing abstract tendencies in the 1950s art world did not satisfy Perlov, and his need to confront more human subjects drew him to cinema. He became an assistant to Henri Langlois, the founder and director of the Cinematheque Francaise, and worked as editor with the documentary filmmaker Joris Ivens. In 1957 Perlov directed his first film Old Aunt China, based on drawings of a young girl, which he found in the cellar of the house he was living in. Despite the professional possibilities opening up to him in Paris, Perlov decided to move together with his wife Mira to Israel. They settled in Kibbutz Bror Hayil in 1958. Their twin daughters, Yael and Naomi, were born there in 1959. In 1961, they left the kibbutz for Tel Aviv. Perlov began directing documentary films for the local authorities, yet throughout the 1960s he encountered time and again the ideological arbitrariness of the Israeli establishment. Based on patriotic propaganda, social realism and a collective rather than individual outlook on reality, this establishment was the only funding source for documentary filmmaking at the time. Still, Perlov took advantage of every work opportunity he had to introduce his own cinematic conception. Following the Eichmann trial, Perlov made In Thy Blood Live, the first Israeli film accepted at the Venice Film Festival, where it was awarded an honorary mention. His next film, Old Age Home, awarded him the Van-Leer Foundation prize. In 1963 Perlov made In Jerusalem, a turning point in his cinematic career and a milestone in Israeli cinema. The film set a new, free style for documentary work in Israel. At the end of the 1960s Perlov made his only two feature films: The Pill, a burlesque fantasy based on a script by Nissim Aloni, and 42:6: a dramatic reconstruction of the life of David Ben-Gurion. Notwithstanding the acclaim awarded to his documentaries by film critics - above all to In Jerusalem - by the early 1970s Perlov was no longer receiving commissions from Israeli authorities. In 1973, he decided to "start from the beginning," as he himself put it. Using basic film equipment and minimal resources, Perlov began work on his epic creation Diary. In it, Perlov documented the day-to-day of his life alongside the dramatic events that took place in Israel at the time. The film, whose making lasted over 10 years, consists of six one-hour chapters. The production was backed by the British channel 4, where it was first screened. In 1973, Perlov was among the founders of the new Film and Television department at the Tel Aviv University. From then on, teaching became a crucial part of his artistic and personal development. Perlov also joined the teaching staff of the Sam Spiegel Film School in Jerusalem. In 1987 Perlov was appointed associate professor, and 10 years later full professor at the Film and Television Department of Tel Aviv University. In 1998, he began work on the Revised Diary. The three one-hour films -- "Sheltered Childhood", "Day to Day and Rituals", and "Back to Brasil", center on specific topics, unlike the river-like flow of the earlier Diary. Already in Paris in 1953, Perlov started taking still photographs. In the last few years of his life he began to devote himself almost entirely to photography, turning to color photographs that were shown in three individual exhibitions. 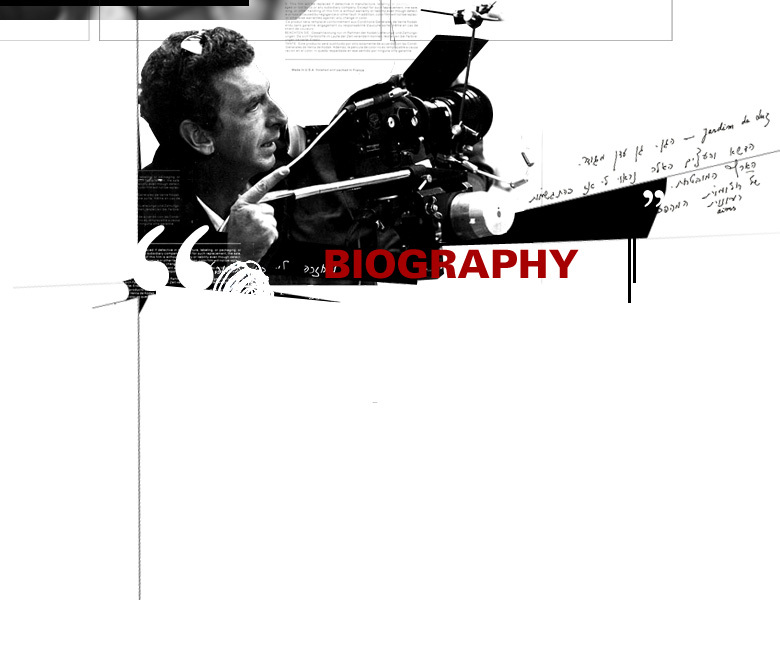 His last film, My Stills released in 2003, was entirely based on the photographs he took over a period of fifty years. That same year, he completed the editing of Anemones a film he produced with his university students. When Perlov was awarded the Israel Prize for cinematic achievement in 1999, the eminent film critic Uri Klein wrote in Haaretz: "Perlov brought to Israeli film the tradition of the documentary cinema, fusing theory and practice. His greatness was in the fact that his work was at the same time personal and public, revealing and mysterious, intimate and all embracing, as all great art is." David Perlov died on December 13, 2003. 1994 “I believe that beyond these bushes I could bath in warm cisterns”, by Zohar Eitan, a poem in reply to a quotation from Perlov, from Diary - Chapter 2, in Midrash, Helikon – anthological series of contemporary poetry, no. 12, autumn 1994, p. 29 & in Eitan’s poetry collection “Shoo-Hai Practices the Javelin”, Tel Aviv: Bitan, 1996. 2014 David Perlov, a film by Ruth Walk marking 10 years to the death of Perlov; Screened at the 32st Haifa International Film Festival, 65 min. 1989 David Perlov's Diary, a film by Asher Telalim on Perlov’s film; made for the Israel Television Channel 1, 60 min.